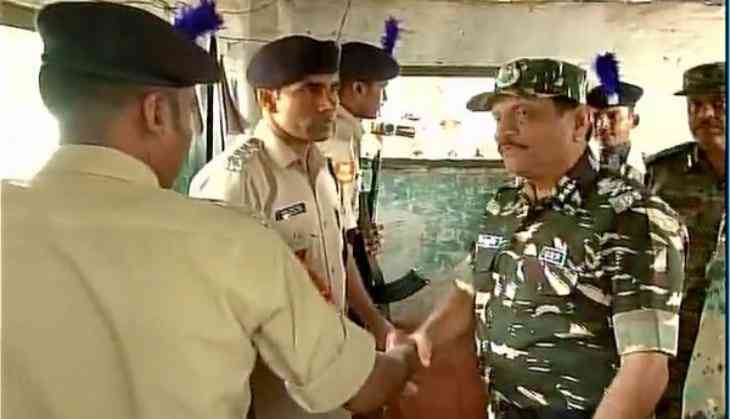 Central Reserve Police Force (CRPF) Director General Rajiv Rai Bhatnagar on Tuesday visited Kashmir and interacted with 45 Battalion CRPF Sumbal, Cheetahs of 45 and 44th Battalion. He lauded the army, while stating that the Bandipora encounter was successful. "We succeeded in saving our camps. The Jammu and Kashmir Police also helped us. We have reviewed the Amarnath Yatra too," he added. Meanwhile, Jammu and Kashmir Director General of Police S.P. Vaid said the Bandipora encounter was a live example of coordinated work.